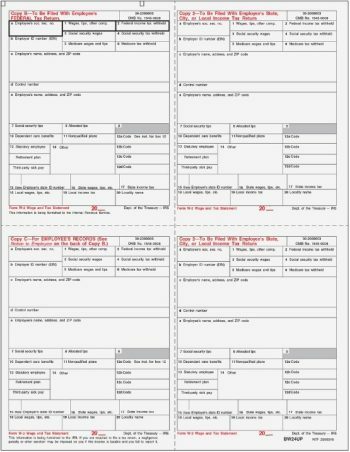 Contains all of the forms you need to file, in one convenient set. 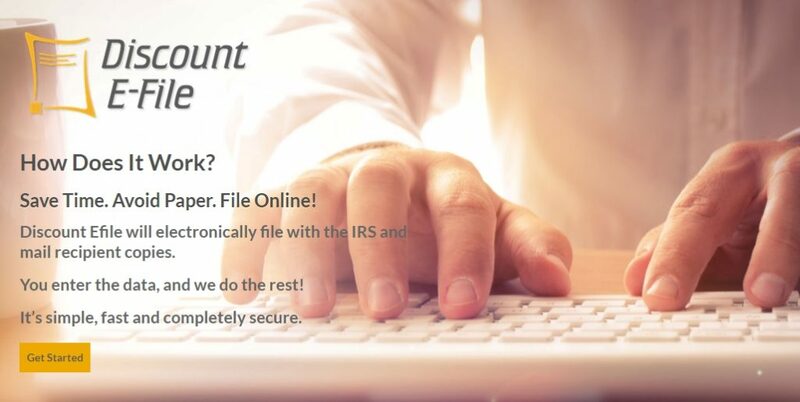 Easy ordering, easy filing. 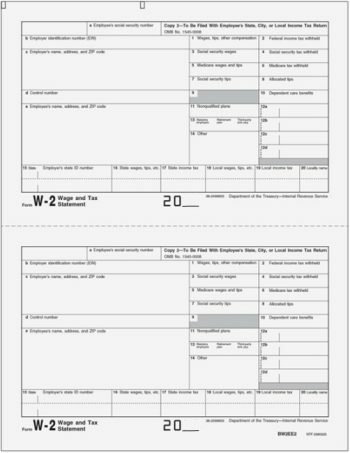 Convenient set of pre-printed W2 forms in the official, 2up format. 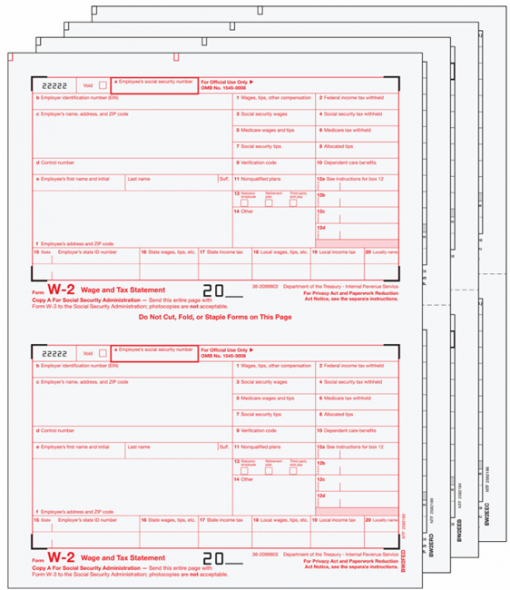 Everything you need to print W2 forms to employees is included, along with employer copies and the red scannable form for the SSA.